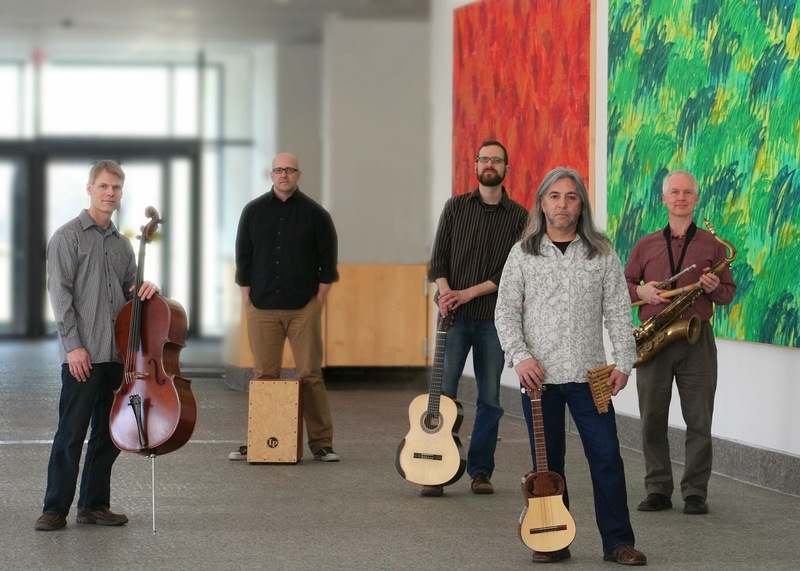 Heads up Valley families... look to an upcoming concert by Achéray Ensemble to prove to be a delightful love affair with Latin American roots music. There is an enlightening sound here with music that encompasses the heartbeat of grassroots America. The joy of the sound will celebrate the polychromatic mirror of Latin American music that fuses the energy of Afro-Latin rhythms with the spellbinding spirit of South American indigenous music. Band members hail from different musical backgrounds as diverse as Ecuador, Cuba, and Puerto Rico. A menagerie of sound from flute, guitar, guiro, cuatro, cello, bass and percussion including bongos will fill the sunken garden of Porter-Phelps-Huntington House Museum with beautifully mystical sound. The name "Achéray" derives from the African Yoruba word "ache" which is an affirmation and a way to honor someone as a person. The South American Quechua word "churay" is used in a static moment of music, as a way of inciting the musician to put their full energy and soul into the music. Yoruba culture has roots in Cuba and Brazil with the Quechua language spoken in the Andes. This concert will be a colorful and wonderfully complex narrative soundscape of Latin American music that translates a warmth and authenticity. The tug from one style, then from the other should make for a beautiful creative musical tension and sound. Giving us a sense of place, a spirit of community, an appreciation of diversity of life and a musical poetry that artfully describes the Latin American saga in song, a concert of this scope and magnitude could help define a rediscovery and renewed vision for our collective soul. The concert is part of the Porter-Phelps-Hungtington House Museum's Wednesday Night Folk Traditions concert series. The concert's date is Wednesday, Aug. 6 at 6:30 p.m., 130 River Drive (Route 47) in Hadley, MA. Cost is $10.00 per person and $2.00 for children 16 and under. Picnickers are welcome beginning at 5:00 p.m.